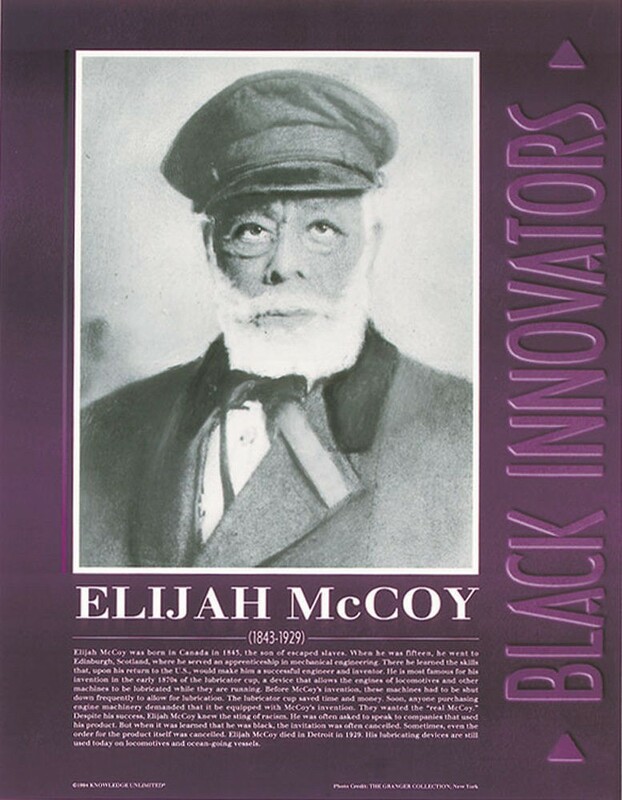 This educational poster of Elijah McCoy features a historic black and white photo of this great African American inventor and innovator, along with a concise biography. 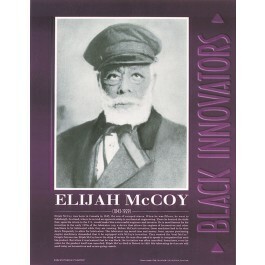 Elijah McCoy, the son of escaped slaves, became a successful engineer and inventor. He is best known for inventing the lubricator cup, a device that allows the engines of locomotives and other machines to be lubricated while they are running.